By Michael Peachey | November 16, 2018 | This post may contain affiliate links, which means we may receive a small commission, at no cost to you, if you make a purchase through a link. Read our Disclosure. Because Uluru is the world’s largest rock, it’s human nature to see it as a physical challenge. Something to conquer! 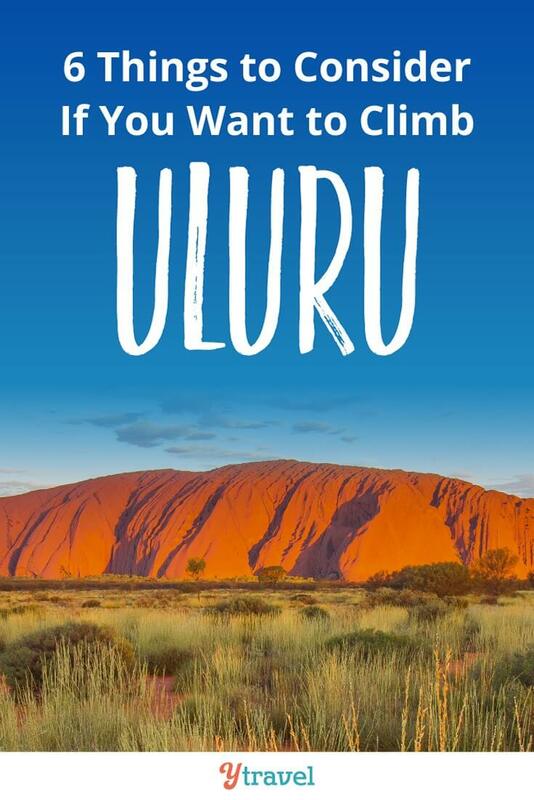 But just because you’re allowed to climb Uluru (or Ayers Rock), does that mean you should? 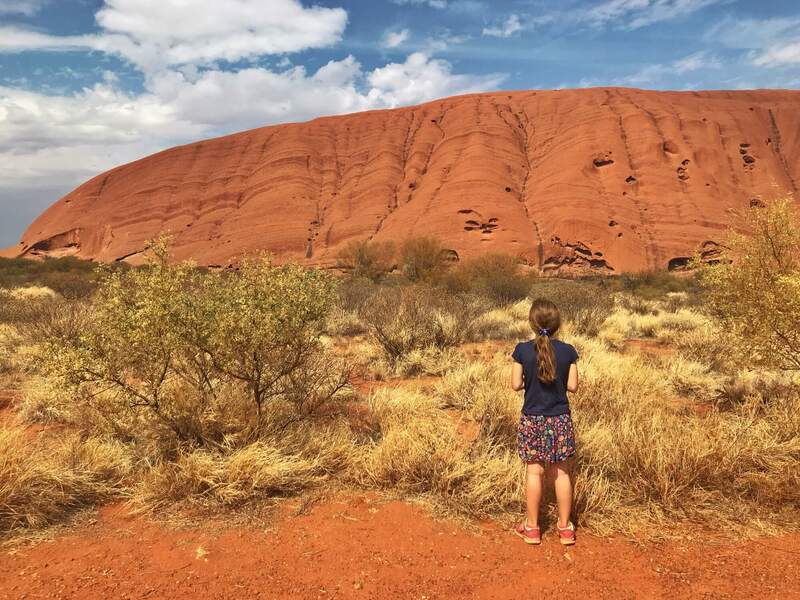 There are way more things to do at Uluru than it being just something to climb. 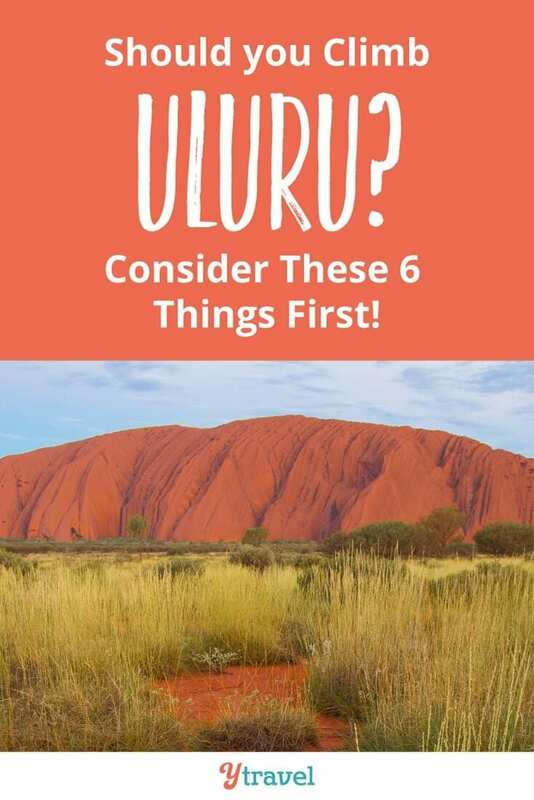 If climbing Uluru is the only reason you’re planning on visiting the Northern Territory though, there are some things you should consider. 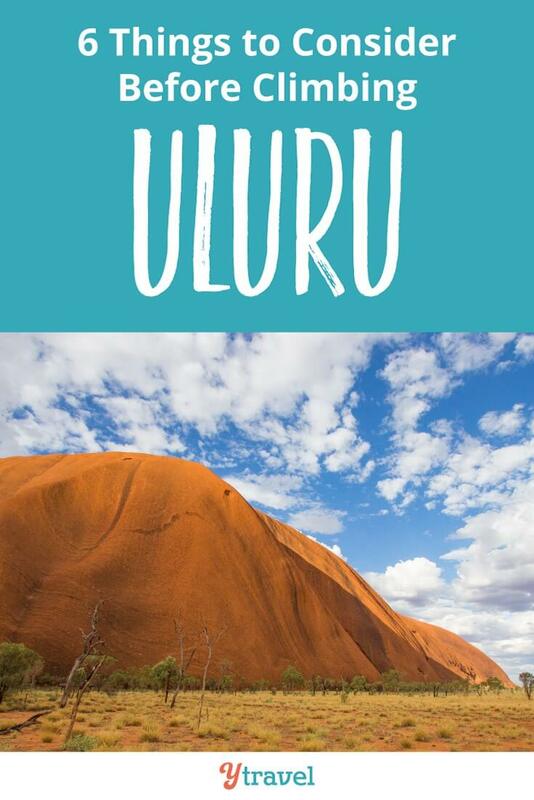 The first thing to consider is that the Anangu traditional owners ask that you don’t climb Uluru. 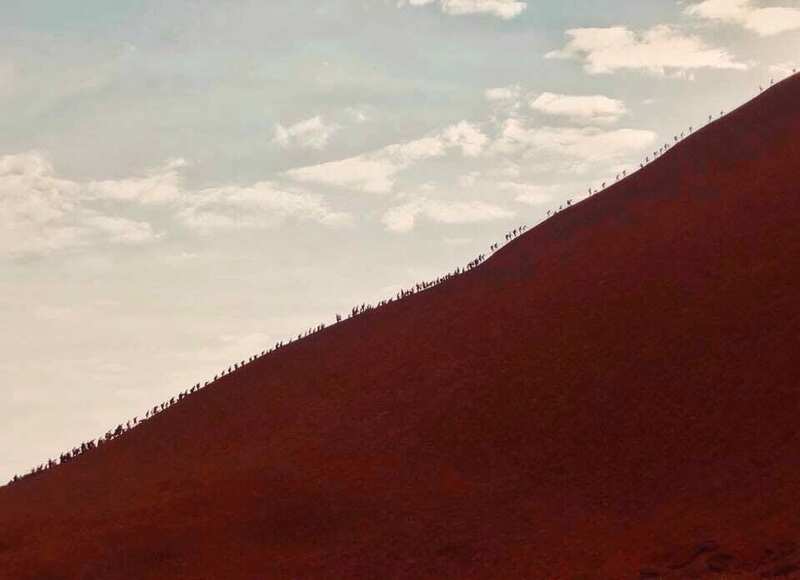 The climb is not prohibited but we ask you to respect our law and culture by not climbing Uluru. We have a responsibility to teach and safeguard visitors to our land. The climb can be dangerous. 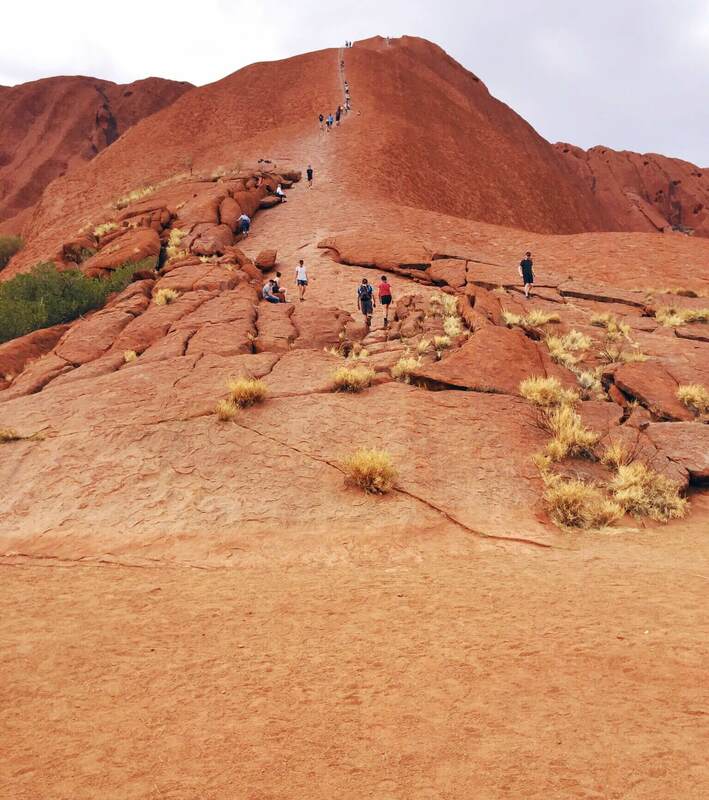 Too many people have died while attempting to climb Uluru. 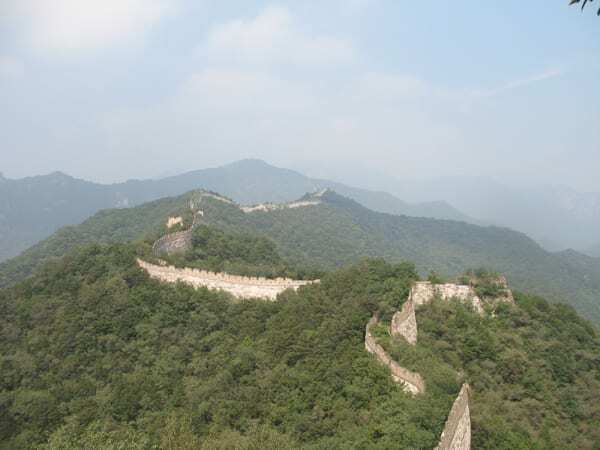 Many others have been injured while climbing. We feel great sadness when a person dies or is hurt on our land. We worry about you and we worry about your family. Our traditional law teaches us the proper way to behave. What’s that? Many people have died? Yes, it’s that dangerous. Over 35 people have died attempting the Uluru climb. Falls. Heat exhaustion. Heart attacks. A lot of people have been seriously injured. It’s an everyday occurrence to see people sliding and losing some skin. It’s only when you drive towards Uluru that you release how big it is. And steep. At 348m high, that’s the height of your average 87 story building. Compare that to Statue of Liberty (93m), the Sydney Harbour Bridge (134m), and the Great Pyramid of Giza (139m). It’s almost as tall as the Empire State Building (381m). Many people just see it and realize it’s not for them, or get about 1/4 of the way up and turn back. Uluru will be permanently closed to climbing from 26th October 2019. Does that mean that you have until then to climb? No. The climbing track is planned to open at 8am each morning, but if it’s too windy it stays closed. If it’s too hot it stays closed. If there’s any sign of rain it stays closed. If the rangers do open it, they conduct 2-hourly checks. They’ll close it if they think that the wind or weather is worsening. When we visited, the climb had been closed 6 out of 7 days. 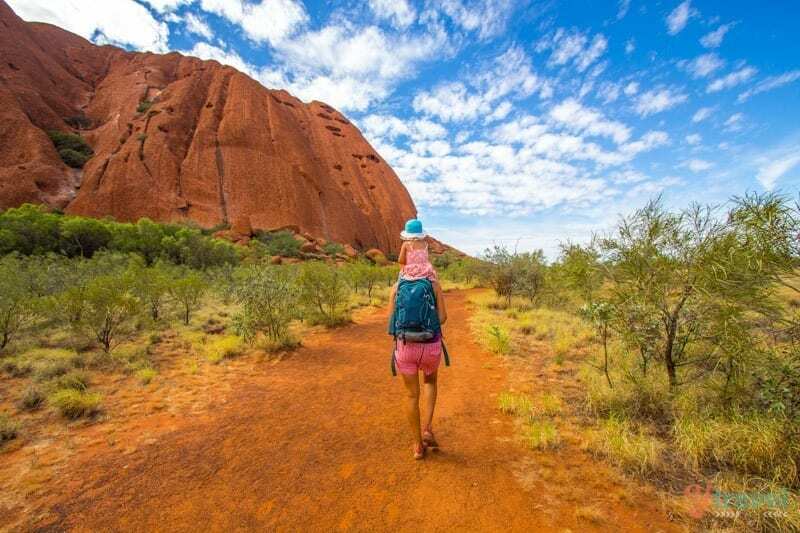 Whether you’re planning to climb Uluru or not, there are better times of the year to visit than others. The climate in the Red Centre is extreme. Temperatures range from an overnight low of 3.5º C in July to an average daily temperature of 37.5º C in January. It can get as hot as 45º C in the summer months. The average is below 30º C between the months of April and September. These are also the months that get cold overnight. So make sure you bring warm clothes, because you will be taking photos of Uluru at sunrise and sunset. Guaranteed. If your only goal is to climb then you may be spending a lot of money without getting what you came for. There’s only one place to eat, sleep, and re-fuel. There is no camping within the park. 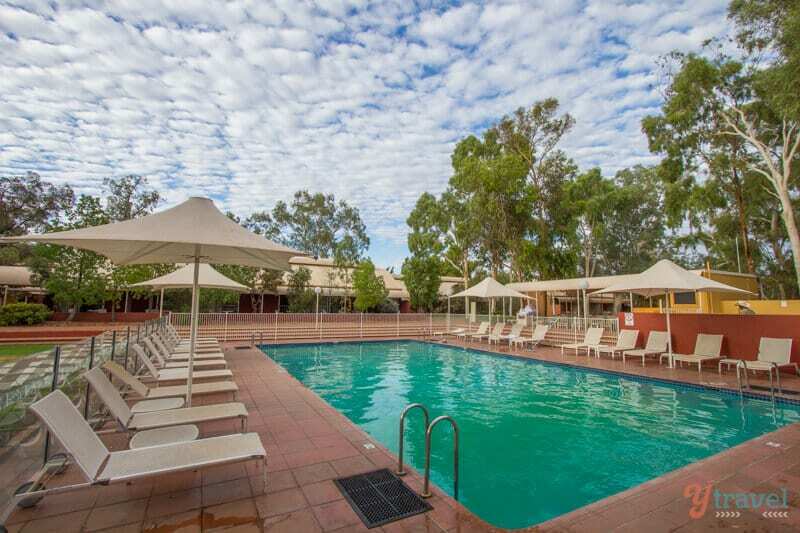 Ayers Rock Resort in Yulara is really the only place you can stay. It’s home to everything – hotel restaurants, cafés, a mini-mart, and the only petrol station. You can choose between $30/night for an unpowered camping site, or up to $3,000/night for the Longitude 131º Luxury Pavilions. There are 2, 3, 4 and 5 star options. In the busy periods, expect to pay up to $500/night for a 4 star option. When we visited Uluru not one of our family climbed. Some chose not to. Some realized they weren’t fit enough. Others had safety concerns. Others just missed out because it was closed. None of us came just to climb. The rock itself is breathtaking. The history of its use by the Anangu is inspiring. The base walk gives you an amazing appreciation of its size. The Cultural Centre makes you appreciate everything that little bit more. 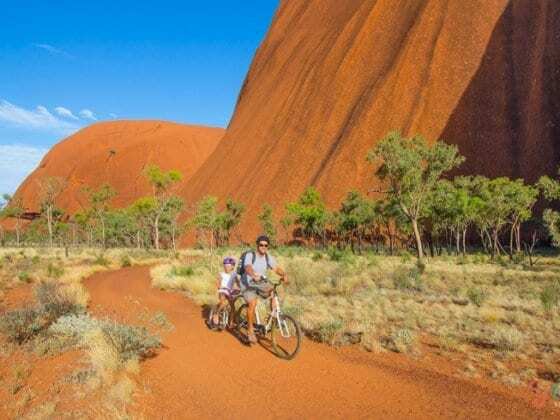 If you have no intention of climbing Uluru, then you will have an amazing experience. If you are going there with the sole intention of climbing, that’s your choice. But don’t be surprised if you don’t get to do it. If you open yourself up to taking in the rest of the beauty that comes with this place, you won’t be disappointed. 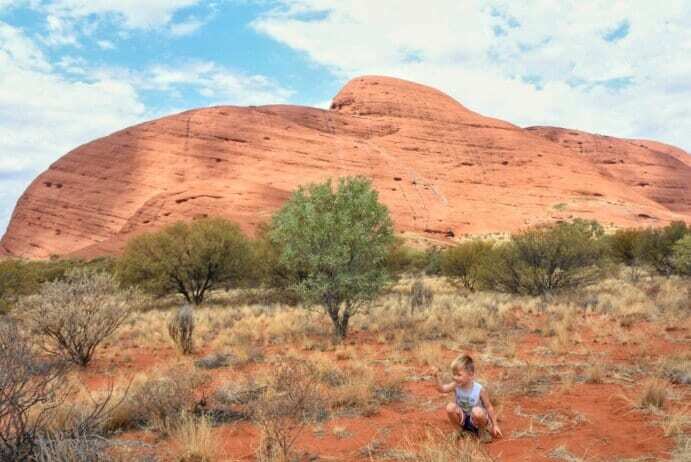 Share this article with someone you know that’s planning their trip to the red centre. 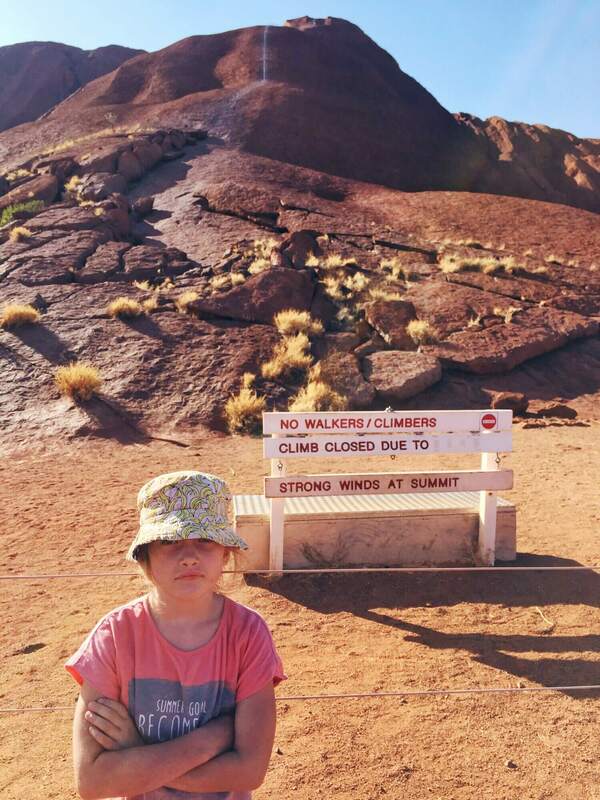 Although the Uluru climb was closed when we visited, the Makepeace family from y Travel chose not to climb Uluru out of respect for the local Indigenous culture. Yes, You Can Do The Kings Canyon Rim Walk With Kids! Check booking.com for properties in Uluru. You get free cancellation on most rooms and a best price guarantee. RentalCars.com is the world’s biggest car rental booking service that compares all the major brands like Hertz, Avis, Alamo, and Europcar. Book your car rental here. 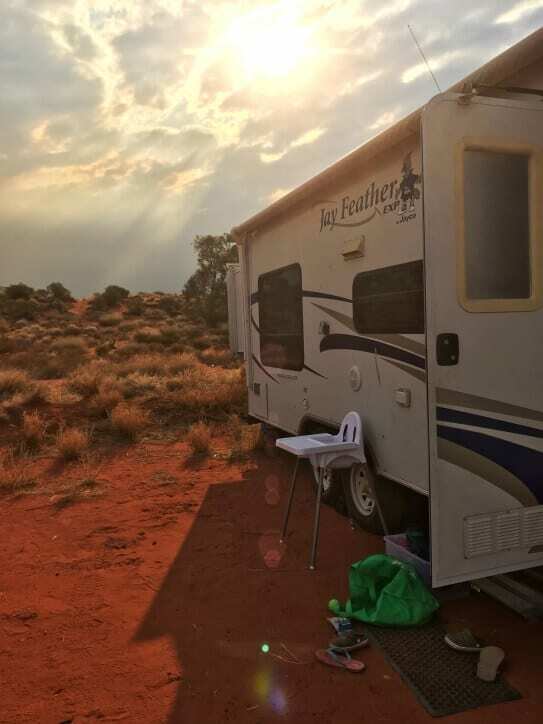 Check Outdoorsy for campervan, caravan and motorhome rental for your trip to Uluru. They have offer ease, flexibility, unique offers, and includes insurance! Would you climb Uluru? Have you? Can you offer any advice or share any stories? Michael Peachey is a freelance writer for hire, specialising in digital marketing and branding. 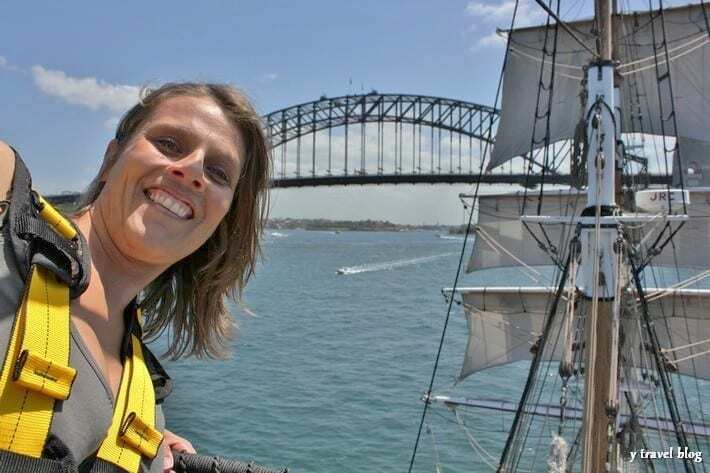 When he isn’t behind the microphone with his wife Natalie interviewing families for The Family Travel Podcast, their family of 5 is travelling Australia in a caravan having A Big Peachey Adventure.